Affandi museum is located in Yogyakarta and originally was Affandi's house. 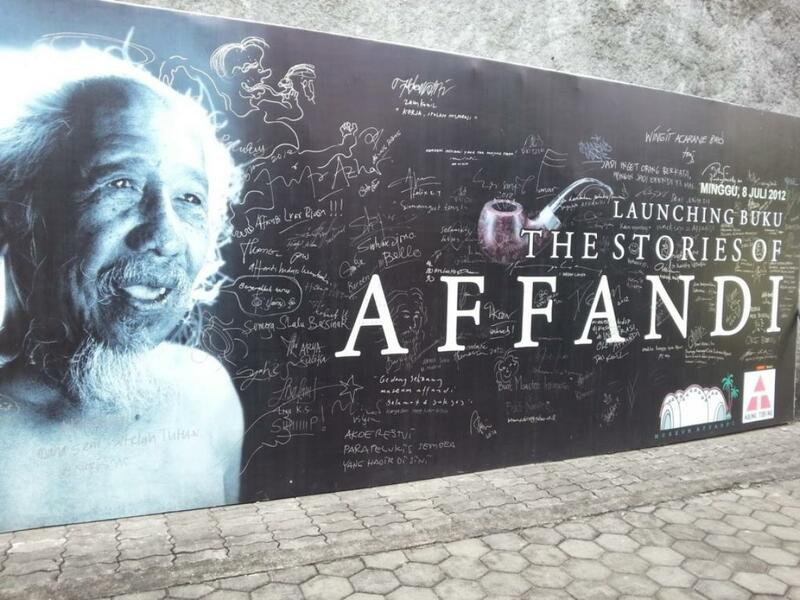 In this museum, there are many works of Affandi such as painting art, statue, and various relics during his lifetime. Here are some objects that visitors can see in the Affandi Museum. There is much phenomenal work made by Affandi during his lifetime. One of them is a painting art that is in the form of anatomy painting that uses Maryati's body as a model. This painting depicts a woman from behind. In addition to this work, many paintings by Affandi are shows in the main gallery. Affandi's style of painting is very distinctive because he always spills paint directly on the canvas. He also likes to do color mixing directly on the canvas. Besides enjoying the paintings on display, visitors can also buy some paintings. The price of this work is so fantastic most of them reach billions of rupiah. The painters who contributed their works for sale were Basuki Abdullah, Rusli, Popo Iskandar and others. Some historical objects in Affandi's life can see in this museum. Visitors can see old bicycles, t-shirt, and pants that were dirty with paint stains, brushes, and other used paint tools in the gallery room. Even the old yellow car, which is Affandi’s favorite, is parking in the gallery. In a glass cabinet, visitors can see various awards received by Affandi. From Indonesia, abroad, and honoris causa doctoral award given by the National University of Singapore in 1977. In gallery 1 there are statues made of clay and cement. This statue is a form of Affandi's self. This collection was originally in another place but was later transferred to the Affandi Museum. In gallery 3, there is a collection of documentary videos about the life of the maestro and family. In this video, visitors can see how Affandi makes painting art that has a strong and very high artistic value. Besides Affandi's work, there is a collection in the form of the work of Maryati, Affandi's first wife. The painting is unique and different from Affandi's style. He used embroidery techniques in several art paintings made. Then Kartika, Affandi's daughter, also worked in the field of painting. His tastes are almost the same as his father's, seen from the paintings that have the characteristics of graffiti full of meaning. Besides seeing paintings, this museum also provides facilities in the form of painting studios for kids and adults. Here there is direct guidance from Kartika Affandi and several professional painters. For adult classes, visitors must pay 400,000 rupiahs. While children painting classes are for one meeting up to monthly meetings. The amount of payment charged to painting class participants ranges from 100,000 to 300,000 rupiah. This painting class teacher is also very professional and willing to help children develop their potential. Affandi Museum located on Laksda Adisucipto street number 167 open every day except Sundays. This museum entrance ticket is 50,000 rupiah for domestic tourists and 100,000 rupiahs for foreign tourists.